Start Promoting 12 Midday on the 25th February 2018 ... And See The Money Coming Into Your PayPal Account Just Minutes After! Retain Recurring JV Commission For Many Months And Possibly Years to Come! We Look After Our JV Partners! He Has Paid Me 397 times... He Keeps Paying Me... And Paying Me... 🙂 "
"Great sales copy... And when people get access they can instantly see the quality..."
... What's more my list absolutely loved this offer..."
"If you want to do something smart... Get in on this..."
Between the 25th February and the 8th March 2017 we held a 10 day Affiliate Contest when re-launched The Internet Marketing Newsletter PLR service on Warrior+ below are the results from the Leaderboard and the cash prizes awarded. The Internet Marketing Newsletter (originally launched as Delaveri) has been published for over 6 years at $47/month, with an extremely high conversion rate of 5%, and during launch week we saw an average of $1.20 earnings per click on just the $1 trial offer alone. 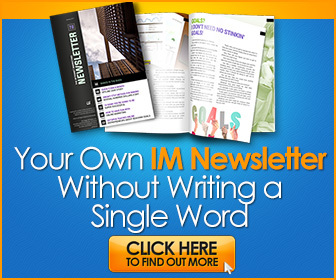 This relaunch of the Internet Marketing Newsletter PLR included a $1 trial, reduced monthly subscription fee of $29.99/month and a $99 'One Time Offer' to get unrestricted access to all the back issues of the entire newsletter PLR collection. This single project is on target to hit 6-Figures by the time we re-launch on the 25th February this year. Do You Want To Receive Monthly Recurring Commissions And Join The Party This Year? I understand that you want "instant commissions" but how about I keep giving you extra commissions EACH and EVERY time you referred customer renews their membership subscription to The Internet Marketing Newsletter PLR each month? So you get "recurring instant commissions" month after month... after month? Your earnings will continue to go up and up following your promotion of The Internet Marketing Newsletter PLR. The Retention Rate Is Amazing! The retention rate on this evergreen product is not just amazing it's bordering on INSANE! We're seeing customer after customer staying with their membership long term - many getting on for THREE YEARS. It's written by an IM professional and his in-house team, not ghostwriters. The Internet Marketing Newsletter is written, published and managed by me... My name is Nick James and I am a full time Internet Marketer originally from the United Kingdom which is where I started my first online direct marketing business back in 2001. I wouldn't put anything in my newsletter that I wasn't deeply proud of to share with my readers. The newsletter contains content I originally wrote exclusively for my $40/month newsletter subscribers and website members of the InternetMarketingTrainingClub.com a 6-figure a year site I have been publishing since 2004. It was never the original intention to release the licensing rights to this content. It's that good. Each month the newsletter is delivered in both raw Word Doc source files and also as a professionally designed 32+page glossy e-magazine format. Together with an extra supplement / pull out section. 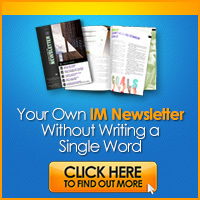 No other IM newsletter comes close to the size and quality of the Internet Marketing Newsletter. The Interet Marketing Newsletter does something ordinary publications do not do. - It teaches real methods for making real money online. 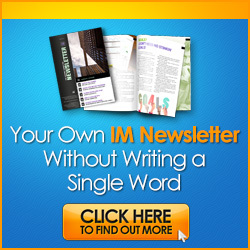 Inside The Internet Marketing Newsletter is the very latest Internet Marketing news, resources, proven techniques and profitable methods for marketing online in every single issue. The PLR can be used in newsletter / magazine format via the included template - customers can simply change the title and add the authors name to rebrand. Excellent for list building. The PLR can also be repurposed into blog posts, products, emails, articles, autoresponder sequences, videos, e-courses, podcasts and even radio shows etc. The ONLY limit is that it cannot be resold as PLR. In return for your marketing efforts, we've put together an extremely high converting commission program that gives you the potential to earn immediately and then repeatedly each month through recurring commissions. Do You Qualify For Instant Commissions? 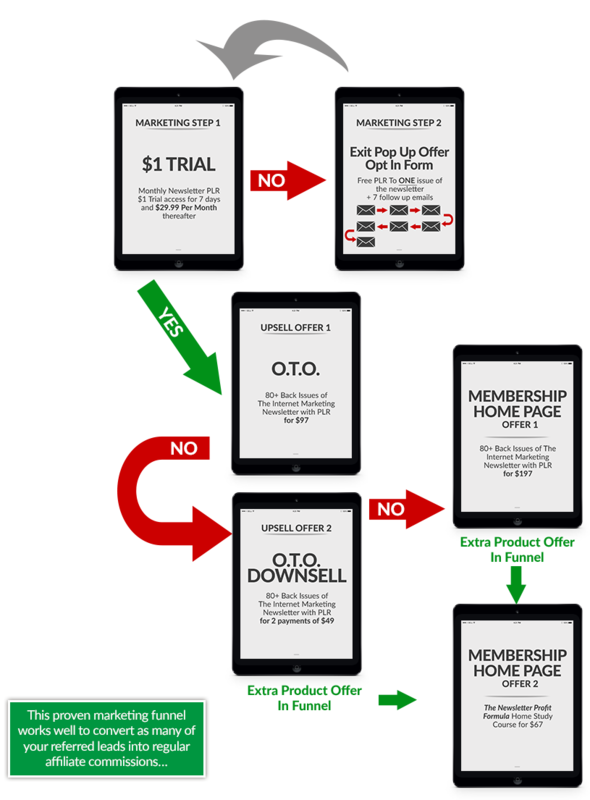 This year we're going to run our program through JVZoo, one of the most trusted names in affiliate marketing. they have a reliable system and make it incredibly easy for you to track your clicks and sales. We offer instant 50% commissions to all products included in the sales funnel. You are qualified to be accepted for instant commissions if you have generated at least 100 sales via the JVZoo platform. To join us, simply join the JV Notification List below, then submit your JV / Affiliate request, we will then approve you for instant commissions on the entire funnel. You Send The Traffic... We do the Selling! Enjoy DOUBLING Affiliate Prizes For 2018! We're pulling out all the stops again this year and DOUBLING the CA$H PRIZES we introduced last year for our Top JV Partners who take part in our next 10 day campaign. Ready To Book This In To Your Promotion Schedule? This is not a promotion list... and Is JUST for JV Partners. Join The JV Notification List! I value your privacy, I wont share your details. To open a new window and apply for instant commissions through the JVZoo Platform. You will get a link for the front end offer and will then be automatically approval for all the additional products in the funnel. and you're good to go!" You'd be better off starting from SCRATCH. will ever suspect it's PLR. for less than $2 a page? who's generated $millions online write PLR content? 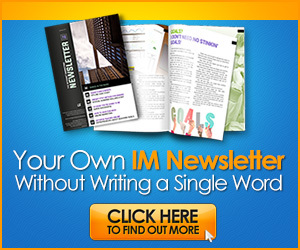 newsletter, (The Internet Marketing Newsletter). the size or quality of The Internet Marketing Newsletter. building - or just deliver it as is! is that you cannot resell rights to it. Rights to it for just $1.50 PER PAGE. YOU GET A READY PDF YOU CAN DISTRIBUTE AS IS! ...and for just $1.50 a page??? It's painful, it's drudgery, it's flat out WORK. Stop slaving away in your business. meant to PLR – it's that GOOD! Now that's just plain SMART. of touch with what works in the real IM world. would if you bought several WSO's. to go PDF MAGAZINE with all the content in it you can distribute AS IS! Listen, I'm not necessarily suggesting you put a banner on a your website home page... However putting an affiliate banner on an order confirmation page, opt in thank you page or a download page which customers see AFTER interacting with your website can be REALLY EFFECTIVE... and If you're like most Internet Marketers... Most of this prime advertising space is completely under-used. So why not put that under-used space to good use? Just 'set and forget' to receive recurring commissions by adding a banner to a Thank You Page of yours today.